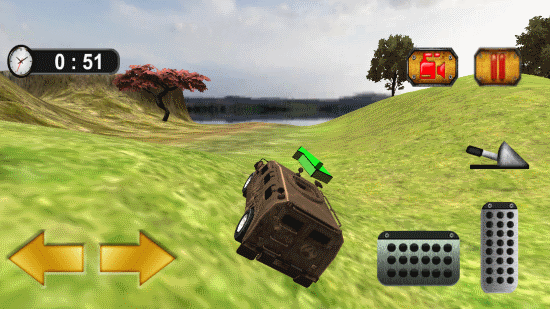 Off Road Hill Driving 2016 is a free racing game for Windows 8 and 8.1 computers. 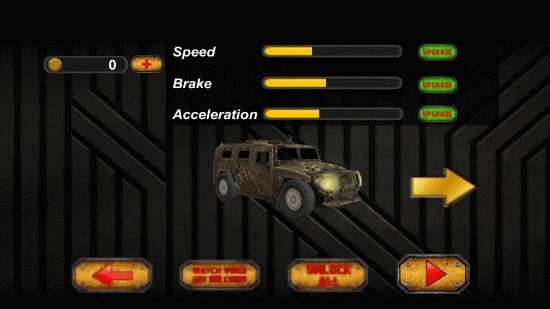 Drive some really cool off road trucks, monster trucks, SUVs, and Hummer in mountain terrain. You will get to go completely off road with no roads around, but some dirty and tricky tracks. 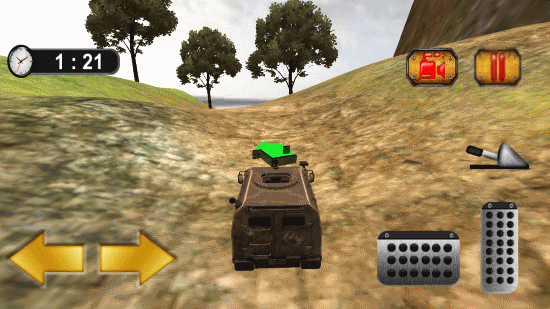 Cross rivers, drive at beach, and do a lot more in this racing game for Windows 8. Take control of the vehicle and drive around with various camera views. Continue reading to know more about the game. Installation of this racing game for Windows 8 is easy. Visit the Microsoft Store to get this game installed. Search for it by its name or you can click on the download page link, available later in the article. When you reach the installation page, click Install to automatically download and install Off Road Hill Driving 2016. 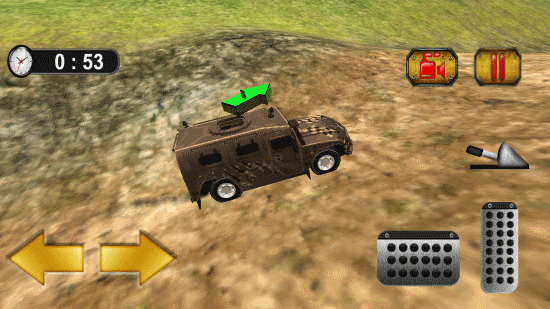 You can play this game from the navigation keys on your keyboard, or if you are using touchscreen device, simply tap on the controls on the screen. Once you begin playing this racing game for Windows 8, you will get to select the truck you want to drive. Only one truck is unlocked by default. 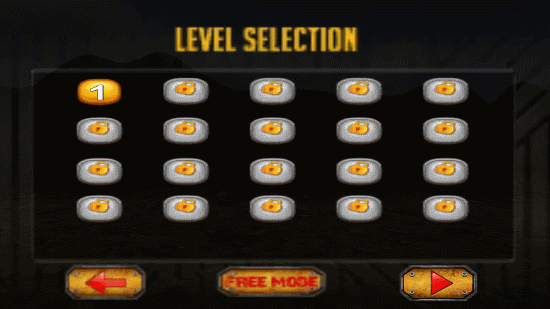 More trucks can be unlocked by playing game and collecting points. Then you get to choose a level to play the game. Begin playing this racing game for Windows 8 from level 1. Once you complete level one, other levels can be unlocked. You can change the camera view if you want. Apart from back view, other views are side view and dashboard view. The side view looks like the picture attached above. 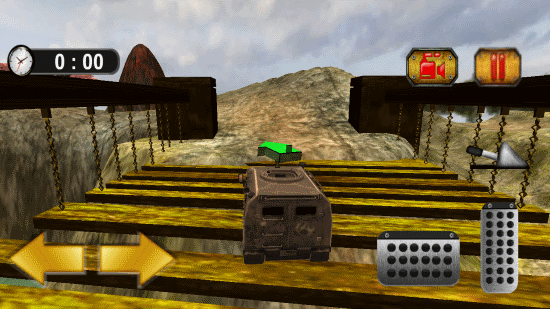 Now, you do not have to wander aimlessly in this racing game, you have to reach a given target before time runs out. The target can be recognized through red markers. Reach the final marker before time to finish the level, then move to another level. Playing this racing game for Windows 8 is not easy. 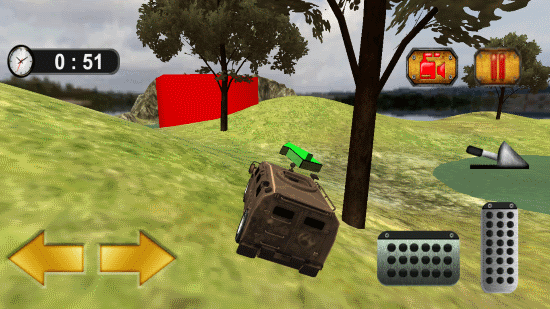 The rough terrain will give you a hard time maneuvering the vehicle. You will also find rivers and bridges to cross the rivers. So go ahead and test your driving skills in this game. The graphics and the physics used in this racing game for Windows 8 are just awesome. You must tryout this game for close to real driving experience. 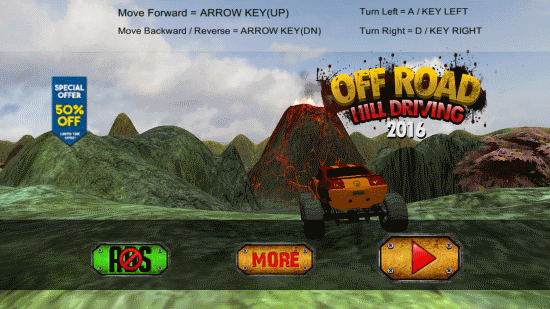 Download Off Road Hill Driving 2016 for Windows 8 and 8.1 computers.